While those of us who are celebrating Passover are limited of what we can eat doesn’t mean our menu only consists of potatoes, hard boiled eggs, and chicken soup with matzo balls. True, there weren’t as many Passover friendly items when I was growing up as there is now. Aside for chicken soup and chocolate matzah, I didn’t care for anything else. While many of the Passover friendly items are not accessible where I live, I’ve learned to make my own dishes. Cooking for Passover was not so challenging for me. Despite the fact that people tend to eat more on holidays and therefore demand recipes that are thematic to the holiday they are celebrating, my menu tends to be more basic and standard. Likewise there are an abundance chicken recipe ideas that are Passover friendly, including the one I borrowed from a spicy honey chicken recipe. Some people see Passover as a challenge for our culinary abilities and pushes us to our creativity limits. It does put things into perspective by learning to appreciate what we have. Thankfully, I am spending most of the holiday away and therefore there isn’t much for me to prepare. I can’t complain as the household is populated by two adults and we are generally organized. Hopefully sometime soon when kids enter the picture, it won’t be the same. During the week, I have soup and salad like any other week. This sweet and spicy chicken recipe is easy to prepare and the ingredients are accessible all year around. Preheat oven to 350 degrees. 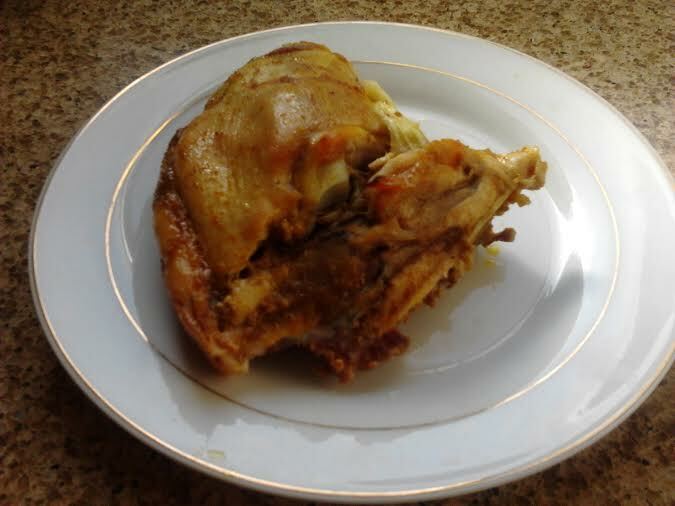 Place chicken and onions in a greased baking dish. Season chicken with garlic powder and ground pepper. Mix honey, hot sauce, and Worcestershire sauce together and pour over chicken. Bake covered for 45 minutes and uncovered for the last 15 minutes. Serve immediately. This entry was posted in Gluten Free, Meat, Sugar-free and tagged cooking for Passover, Passover chicken recipe ideas, sweet and spicy chicken recipe. Remember the classic movie of “The Wizard of OZ” where Dorothy is directed to the City of Emerald in hopes for someone there to transport her back to Kansas? While making this soup, that scene was replaying itself in my head. In fact, the name I gave this soup was inspired by the movie. I thought to go with that than generic titles such as green vegetable soup recipe as there are many variations of them. Incorporating green vegetables daily in your diet seems to be one of the most recommended pieces of nutritional advice given today. While I had many objections to eating vegetables as a kid, green vegetables were an exception. My parents never had to put in much painstaking efforts to encourage me to eat my green veggies. I suppose the parental negative reinforcement of threatening me with no dessert somewhat helped to a certain degree. Growing up, I would snack on raw broccoli and spinach. Thankfully, I never really had to compete with anyone as everyone else didn’t seem to share my love for these vegetables. They were a treat to me second to high quality Swiss dark chocolate. I’ve also looked forward to a creamy green soup my mother made for dinner be it broccoli soup or spinach soup. As much as I like green soup, I haven’t had much success achieving the creamy and velvety consistency that I desire in a soup. I didn’t want to use potatoes nor heavy cream as a thickening agent. At the same token, I don’t care for watery soups either. This green soup has been one of the most healthiest vegetable soup ideas I’ve ever used. And one of the easiest as well. It has the best of three worlds; broccoli, spinach, and kale. Ever since my newfound love for fresh kale has been publicly vociferated to others, nearly to the point of insanity, I wanted to utilize it in other ways aside for chips, and salads. I normally wouldn’t mind eat kale raw as it is but I had a surplus of them. I shamefully confess to overstocking on produce but I do make sure that nothing goes to waste. I didn’t have to fish out too far for vegetable soup ideas for the week. While I only used three green vegetables, you can use chard in lieu or in addition to kale. You can include green peas as well. What I like most about green soup is that it is loaded with hearty, fiber-rich vegetables. Besides, a steaming bowl of green soup, packed with the season’s freshest vegetables, is a healthy way to jumpstart your dinner. Serve with a swirl of fruity, fragrant extra-virgin olive oil for richness if you like. Reserve leftovers for an improvised Alfredo sauce. Heat oil in a stock pot over high heat. Add chopped onions and saute for 5 minutes till they begin to brown. Add garlic and saute for another 2 minutes. Add the vegetables, salt, and pepper and saute for 5 minutes. Pour in broth, cover, and simmer for 10-15 minutes. 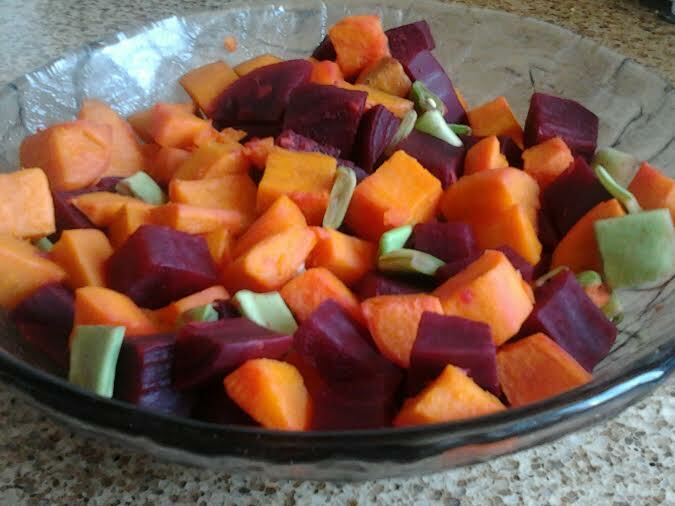 Puree with a hand blender or in batches using a standing blender. Serve hot and garnish each bowl with a drizzle of olive oil and croutons. 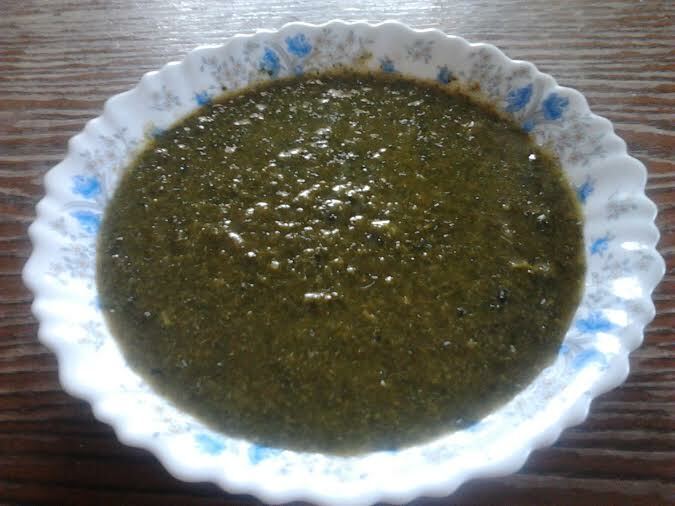 This entry was posted in Gluten Free, Soup, Sugar-free, Vegetarian and tagged green vegetable soup recipes, vegetable soup recipe ideas. In efforts to making my house Passover friendly, i.e. wheat-free, I have been replacing wheat flour with a variety of gluten-free flour substitutes such as buckwheat flour, quinoa flour, brown rice flour, and tapioca flour. Although I’ve thankfully have not been dealt with celiac disease, I am always looking for opportunities to make detoxing more convenient for me. I have managed to sustain without gluten for 2 weeks. Having never tasted gluten-free bread before, I had my reservations of baking a couple of loaves but I wasn’t about to go running out to buy more bread after an intensive thorough housecleaning. I am still a bit experienced when it comes to baking with gluten-free flour but it hasn’t daunted me enough to discourage me from trying. While baking bread is my specialty, I always welcome gluten-free alternatives. Learning how to use gluten-free flour for baking bread was educational and loads of fun. Mastery is generally commensurate with practice fueled by relentless determination. I suppose my perseverance has no limitation for better or for worse. Quitting was never an option for me. Part of overcoming an unprecedented challenge is embracing it wholeheartedly. Fortunately, my uncontrollable desire to experiment was never an issue to me and the risks were usually worth taking. Without sounding presumptuous, the gluten-free treats and bread I have baked were overall satisfactory. Even if you don’t bake gluten-free bread that often, it’s a useful baking skill to have. Wheat flour contains gluten which is a protein that binds and strengthens dough in baking. Consequently, when baking with gluten-free/wheat-free flours you may need to source alternative binding agents. Xanthan gum is often used along with gluten-free flour, especially for baking bread, rolls, etc. Wheat free recipes using gluten-free flour substitutes usually have been carefully formulated to produce the best possible result whilst factoring the problems associated with lack of wheat gluten, therefore substitution can be a risky experiment. If you use wheat/gluten-free substitution, then be aware that the end results may be a complete fiasco. Therefore, I don’t recommend that you do it for the first time if cooking for an important occasion. Test your creation on family members, especially those suffering from celiac disease before sharing it with others. I use quinoa flour, rice flour, and buckwheat flour as opposed to a gluten-free bread mix to have control over the quality and quantity of the bread. You can use other gluten-free flour of your choice if you don’t like the ingredients I provide for you in this recipe. You can find most of these ingredients at your local healthfood store. Place yeast, sugar, and salt in warm water. Set aside till it starts to bubble and foam. In a bowl, mix the first 6 ingredients and whisk to thoroughly combine. Blend the sugar, oil, milk and vinegar in another bowl. Add the dry ingredients with the wet ingredients. Then add the yeast mixture. Kneed till elastic. 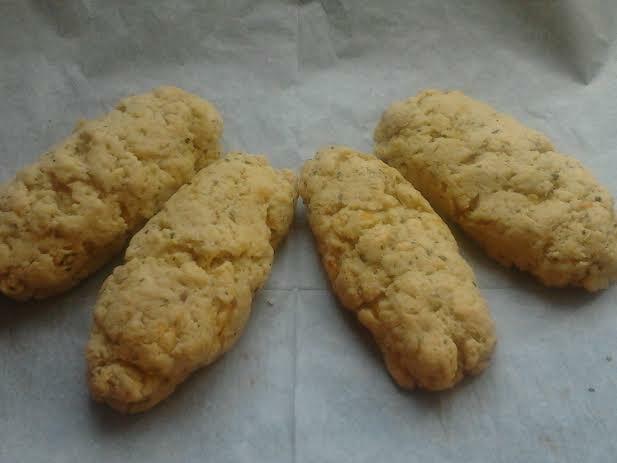 Divide dough into four parts and make small loaves. Place each loaf in a small loaf pan. Allow dough to rise in an undrafted area for 45 minutes to an hour or until double in size. Preheat oven to 350 degrees F. Bake for 20 minutes or until golden brown on top. This entry was posted in Bread, Gluten Free, Vegetarian and tagged baking with gluten-free flour, gluten-free bread recipe, gluten-free flour substitutes, how to use gluten-free flour. My house has been declared a wheat-flour free zone. Thus far, I managed to accomplish that much from my Passover cleaning. Since children are not in the picture yet, there is not much of a mess in my place that requires intensive and thorough cleaning. Plus we will be spending most of the holiday away by friends and family which does save us quite a bit of emotional and financial stress. As I reiterated just a couple of sentences ago, my house is purge of wheat flour but I have quinoa flour among other types gluten-free flour. Forgetting for the moment that I no longer had gluten flour, I was conquered by this intense need for chocolate cookies. The hankering was too irresistible to ignore. Noticing that I had quinoa flour on hand, this struck an idea in my head. I only used quinoa flour twice ever since I bought it. 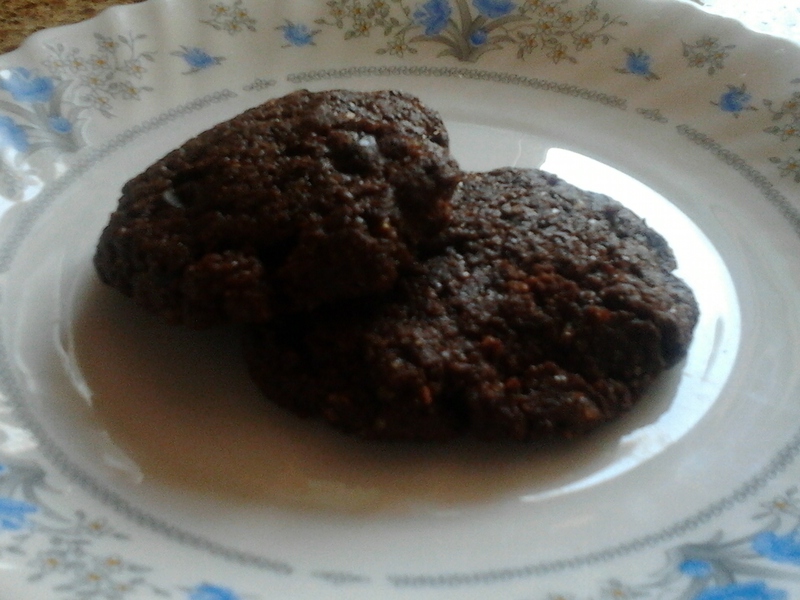 Besides gluten-free breads and muffins, I couldn’t think of a better way to use quinoa flour other than for making a batch of cookies; particularly chocolate fudge cookies. I made gluten-free brownies before and they were a success so why should chocolate quinoa cookies be any different? Preheat oven to 350 degrees. Place egg whites and sugar in a food processor and beat for 2 minutes. Add the remaining wet ingredients and mix well till incorporated. In a separate bowl, whisk the dry ingredients together. Mix dry mixture with wet mixture. Fold in chocolate chunks/chips. Scoop 1 heaping tablespoon of dough onto the cookie sheets, spacing the cookies about 1″ inches apart. Bake for 8-10 minutes. Transfer to a wire rack, allow to cool for 5 minutes before eating (I’m too impatient, especially when cookies like these are screaming out for me). This entry was posted in Desserts, Gluten Free and tagged gluten-free cookies, Passover dessert ideas, quinoa cookies, quinoa flour. I intended to make French macarons for an acquaintance who recently gave birth. Although I manged to nail the meringue consistency, my poor piping skills resulted flat cookies. That is why I dub this French macaron recipe French Macaroon Cookies. French macarons consist of egg whites, sugar, almond flour/meal, and food coloring (if you decide to use any like I did as displayed in the picture) making them ideal Passover dessert ideas as well as delectable treats all year around. They usually include a filling between two cookies. Although the picture of these gluten-free cookies don’t have the same appeal as do French macarons, they are just a soft, chewy, and tasty. I will try to perfect the French macaron sometime later on the month as I know many of my friends and relatives will enjoy them. Macaroons are cookies made of egg whites, sugar, shredded coconut, and potato starch. They are popular Passover treats. Unfortunately, my coconut allergies won’t allow me to enjoy these cookies so French macarons are an alternative to me which I can content with. Light as a feather, this interpretation of French macarons are popular yet immensely enjoyed French treats that will give these cookies a does of sophistication. Filling options can vary from coconut, chocolate, nutella, fruit jam or meringue. 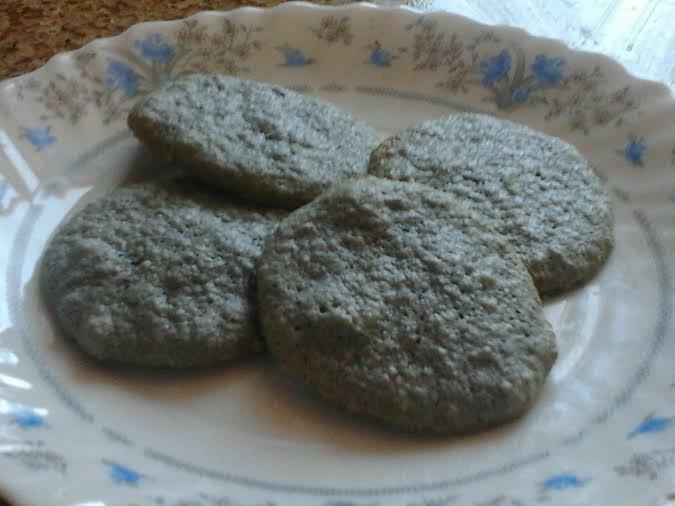 In this case, fillings are not essential but you can make sandwich cookies from this recipe. For a nut-free version, simply replace almond meal with finely grated white chocolate. Pulse confectioners’ sugar and almond flour in a food processor until combined. Sift mixture 2 times. Preheat oven to 375 degrees. Whisk whites with a mixer on medium speed until foamy. Add cream of tartar, and whisk until soft peaks form. Reduce speed to low, then slowly add superfine sugar. Increase speed to high, and whisk until stiff peaks form, about 8 minutes. Sift flour mixture over whites, and fold until mixture is smooth and shiny. Mix in food coloring if you like. Transfer macaroon batter to a pastry bag fitted with a 1/2-inch plain round tip, and pipe 3/4-inch rounds 1 inch apart on parchment-lined baking sheets, dragging pastry tip to the side of rounds rather than forming peaks. Tap bottom of each sheet on work surface to release trapped air. Let stand at room temperature for 15 minutes. Reduce oven temperature to 325 degrees. Bake 1 sheet at a time, rotating halfway through, until macarons are crisp and firm, about 10 minutes. After each batch, increase oven temperature to 375 degrees, heat for 5 minutes, then reduce to 325 degrees. Let macaroons cool on sheets for 2 to 3 minutes, then transfer to a wire rack. Serve immediately, or stack between layers of parchment, wrap in plastic, and freeze for up to 3 months. This entry was posted in Desserts, Gluten Free and tagged French macaron recipes, gluten-free cookies, Passover dessert ideas, what are macaroons.